Bumper Stickers - 7" * 3"
Photo Enlargement Framed 24" * 36"
Photo Enlargement Framed 36" * 48"
Are you planning for a celebration? Those who are planning a big celebration can order printed A6 Invitations from us. Whether it is for your birthday or wedding, these elegant a6 invitation cards are card card-body suited for any occasion. Welcome friends to a special event with our religious invitations. Express your love & faith with religious a6 invitations. Personalize your a6 invitations with unique verse and wordings. 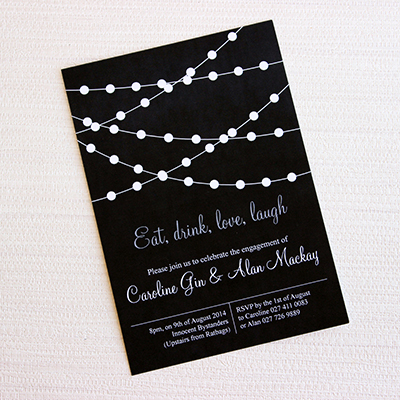 Product information: Our A6 Invitations are printed, finished and sealed with the greatest perfection. Be assured that your invitations are printed in the highest quality and delivered in perfect condition. Material / paper type: 300gsm matt card stock. Finishing: Matt lamination with rounded corners option. Pricing: Starting at N10,000 for 25 copies. Copyright ©2019 Ryteprint Business Solutions Limited. All Rights Reserved.